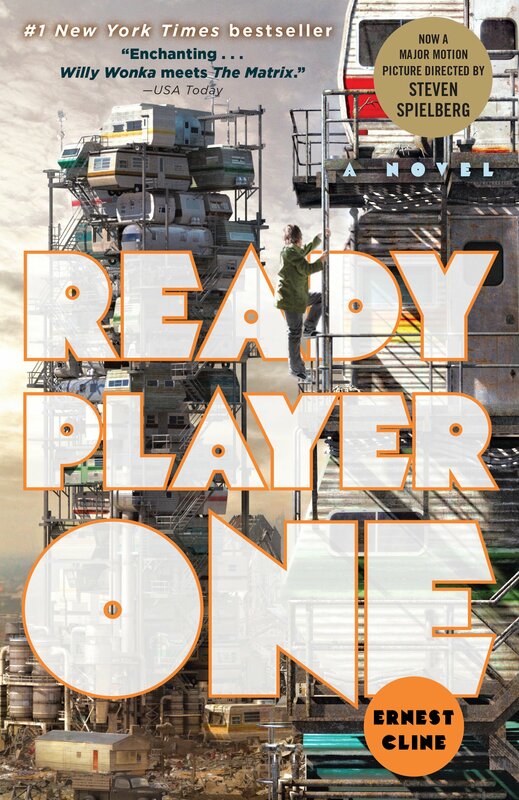 Flashback to two months ago: apparently I was the only living person who hadn’t yet heard of Ernest Cline’s Ready, Player One. Now everyone has heard of it, since Spielberg’s film adaptation has just opened. As I’m not going to be seeing that movie until a week from today, I’m just going to review the original book at this time; the movie will wait. By now you know the basic plot, so I won’t rehash it. Let’s just discuss theme. What is this novel really about? Is it about video games? MMORPGs? Virtual reality? The “real world” of today? The 1980s? Artificial intelligence? Well, yes — all of the above, I suppose. But what it’s really about, IMHO, is the role of huge multi-national corporations in our lives. We basically have two here: one running OASIS, the MMORPG that everyone plays; the other trying to take it over. You could try to assign one to be Google, the other Amazon; or one Apple, the other Microsoft. Or mix those up, if you prefer. But it won’t work. The problem is that there are no grays in Ready Player One: the good guys are the ones who run OASIS, the bad guys are the other ones. Period. No ambiguity, no doubts. Just like Harry vs. Voldemort. So what works well in this book? Principally the characters and the visuals. Of course there aren’t literally any visuals, as it’s all text, but everything came to life for me as visuals in my head. Perhaps it helped that I listened to the audiobook version, read perfectly by Wil Wheaton. I could say more, but I think I’ll leave further comments for a week, so I can compare and contrast with the movie.